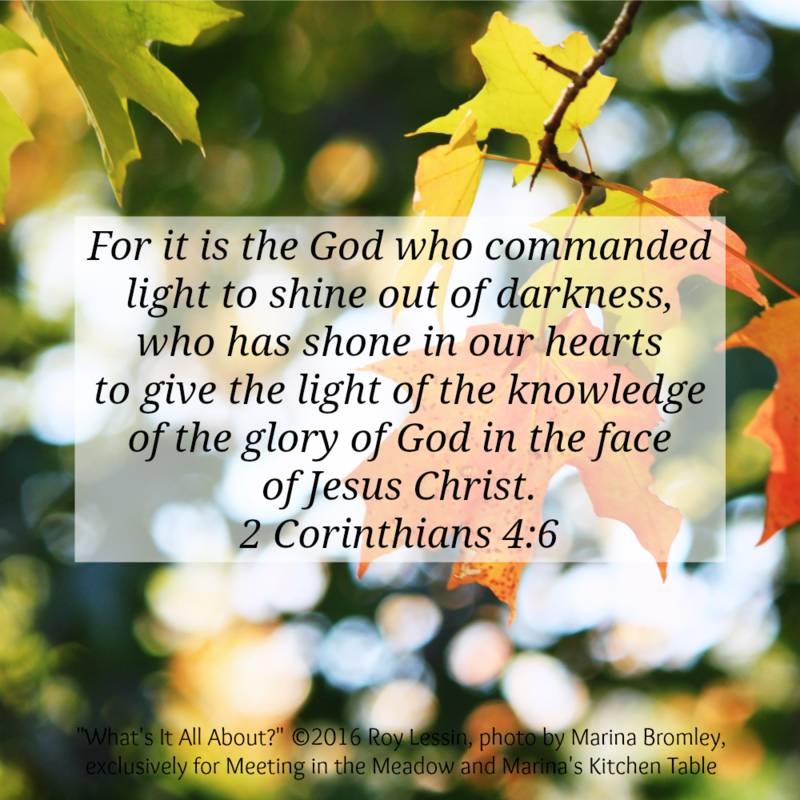 Marina's Kitchen Table: Meeting in the Meadow; What's It All About? Surprise! After a year of prayer and consideration, both Roy Lessin and I have come to a place of peace in posting together again! Roy and I began working together about 3 years ago, when he had his blog "Meet Me in the Meadow" sponsored by DaySpring. When they "retired" his blog, we weren't sure what God had next for his writing, his archives, and my photography. We are reposting old posts, and sharing new writing, as Roy provides it, so it will be accessible online again. You can find it posted here, as well as on Facebook at the Marina's Kitchen Table page, and a new blog page for Roy called "Meeting in the Meadow." We welcome your comments, and hope that you'll want to share the materials with others. As always, the writing remains property of Roy Lessin, and the photography is my own property. Please write for permission to share in any printed form. You may share on social media by keeping the attributes in place. It’s about the painting, not the frame; it’s about the treasure, not the vessel; it’s about His truth, not our opinions; it’s about His glory, not our looks; it’s about His love, not our niceness; it’s about His purpose, not our plans; it’s about His kingdom, not our agenda; it’s about His reign, not our rights; it’s about His life, not our efforts. It’s about Jesus!